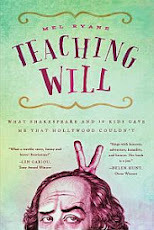 Teaching Will: The Shakespeare Club: Curses! 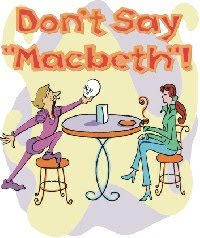 As a young thespian I was taken under the seasoned wings of mature professionals and informed of the dangerous "curse" associated with "Macbeth." Actors tend to be a superstitious lot. Because I'd never been directly tied to the play, as an actor or director, the idea of a curse amused me. I saw actors kicked out of dressing rooms for even whispering the name: Macbeth. In exile they were required to spit, spin three times, cuss and plead for re-entrance. This struck me as silly. Week four of Shakespeare Club and we still have not had a full quorum of actors because the flu has hit, taking down one kid after another, or guardians have pulled kids out for family emergencies of one kind or another. I was frustrated but of course this happens every year and was unworthy of curse consideration. I arrived at Lucinda's classroom to have her come help set up Room 42, as we always do, and was informed that she was home with a broken leg. 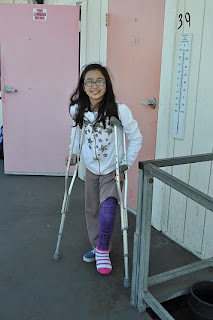 Scurrying around the playground a few days earlier, she'd taken a spill and was now in a cast up to her thigh. When she returned to school a week later I said, "Okay, Lucinda, we'll get you an assistant stage manager, no problem, and then when your cast comes off in a couple of months you'll be ready to take on full duties." 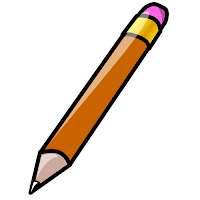 Lucinda gave me a wide-eyed look from behind her spectacles and swallowed. "But Ms. Ryane, something worse...a nightmare...way worse than my leg...oh, Ms. Ryane...something terrible!" "What, Lucinda? What could be worse than your leg?" "What? Moving? Where? When? Why?" "Someplace far...Arleta. My mom and dad have the money and now they got something called escrow!" I called her mom and it was true: Something called escrow was screwing around with me. Quick fix: Celia would now step into the role of stage manager, but I had to have a final and private conversation with Lucinda. "Lucinda, I want you to know that in my whole life I will never, ever forget you and will miss you so much. Here is your journal to keep, and see, here in the back, I've written my address. I promise if you write to me and tell me about your life I will always write back." Her eyes filled, she bit her lip and tried hard to hold it together. "Ms. Ryane, I will never forget you too, but I don't want to go...to move....I don't want to leave Shakespeare Club...I just really don't want to go." "I know. I believe you. It's a hard thing, Lucinda. But here's what is also true: You will do so very well wherever you go because you're just that kind of person." I signed her cast as she asked me to do and we had a good hug. Celia and I arranged Room 42 and I told her how happy I was that she would be with us every week. I placed a tissue box front and center for all the sniffly noses attached to ill kids...and for one Ms. Ryane, who so didn't want to be cursed that she cussed under her breath and took three spins to clear her reeling head. I want to be in Shakespeare Club because I'd like to be in a new activity at school, Also because the Shakespeare Club is something very special to me. I learned that the life of William Shakespeare was very different from the life we have now. I learned that William Shakespeare had 3 kids. Also one other thing I learned was that there was a sickness called the Black Death. He was 52 when he died. If I was an Elizabethian. I would dress as warm as I could. I ate very little foods, like 2 apples and 2 oranges for breakfast. I felt very mad when my 3 brothers went to school and I stayed home with 2 5 year old twins, sowing. Now everything is different. But I still loved my poor life. Double, double toil and trouble - indeed!